ArteEast bridges a gap between MENA artists and these opportunities, cultivating a strong audience for their work and ideas, and supporting the enfranchisement of contemporary MENA artists as essential members of the global art community. Our programs support artists with practice-enhancing residencies, career-building networking, and highly-regarded publications like the ArteEast Quarterly that provide wide exposure to an international professional arts audience. We primarily host events in the United States, including our signature idea series, ArteHub, that present the creative culture of the MENA region through monthly discussion panels, film screenings, and other engagements. In 2019, ArteEast is undertaking a major legacy project ArteArchive, which aims to preserve and make accessible the organization's film archive, accumulated over 15 years of film programming with prestigious partners such as the Museum of Modern Art and the Film Society of Lincoln Center. Many of these films, hailing from Syria, Iraq, Egypt and other countries risk being lost, and we have a duty to preserve and share this work with the public. Participants in ArteEast's Patrons Circle support work in one of the most exciting and dynamic emerging art scenes in the world today. Together with our gallery, auction house, art fair, and museum partners, ArteEast has an unfolding calendar of exclusive Patrons Circle events, opportunities to meet the artists, curators, and experts shaping contemporary arts in this dynamic and diverse region. 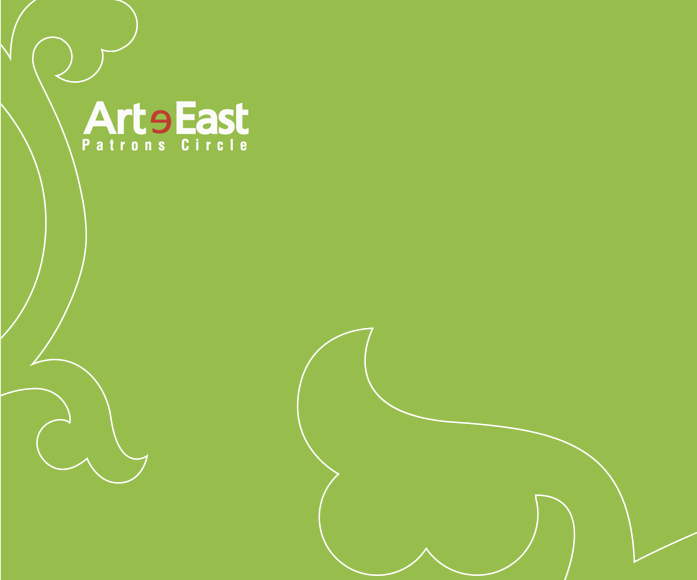 Become an ArteEast Patrons Circle member today!